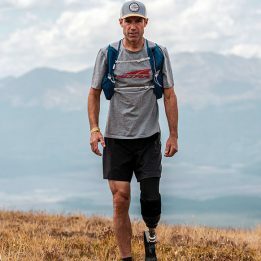 Hands on knees, I grunted my way to the 11,000-foot-high summit of Lone Peak and the mile 20 aid station of The Rut 50K in Big Sky, Montana. Men’s winner Kilian Jornet, we were told, had finished the race about half an hour earlier, but I was too transfixed on the aid station food to care. A sea-level dweller, the scree-laden climb had left my tank completely empty. “What do you need?” a volunteer asked. I took my usual: a cup of Coke, a couple potatoes with salt. But I lingered. What was that smell? I didn’t even have to think. I’d never have expected it—I usually keep it as bland as possible during races—but bacon had never looked so good, or felt so vital to my well-being. I took four pieces and started down the other side of the mountain, full of new, bacon-fueled life. 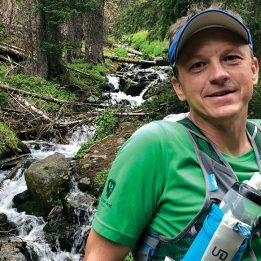 Aid stations are a lot like trail races on the whole: some things will always be the same, but each race has its own unique twist. The eccentricities grow when you’re abroad. And plenty of the things you’ll encounter sound strange on paper, but turn out to be just what the doctor ordered when you actually come across them. 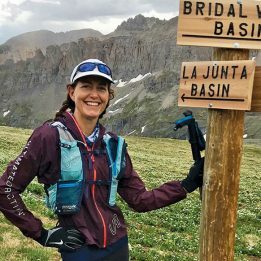 Former Trail Runner Associate Editor Yitka Winn, 27, of Telluride, Colorado, was at mile 52 of the Pinhoti 100 in Alabama when she encountered a table replete with raw broccoli and hummus next to mounds of bacon and sausage. And things get weirder overseas. Hitting the wall at mile 20? 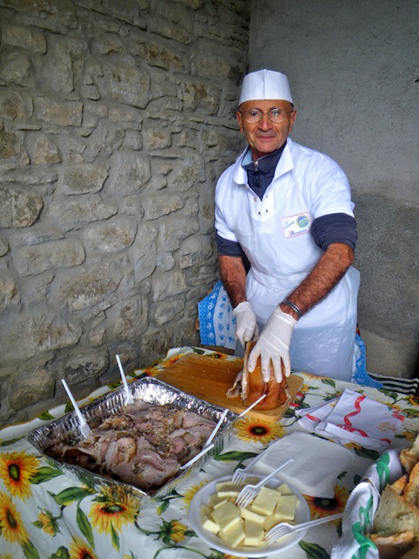 In Italy, you can eschew the Powerade for roasted pork. Photo courtesy of Sarah Lavender Smith. 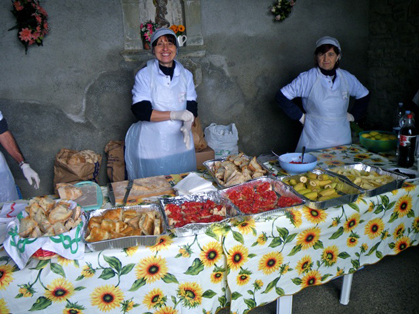 To the “Euros,” it seems, whole food is not only appetizing mid-race, but irreplaceable, as fellow Trail Runner Contributing Editor Sarah Lavender Smith found when she showed off a GU packet at an aid station during a trail marathon outside Florence, Italy, in 2010. As the wine indicates, the discrepancies between continents have their limits. The grand tradition of imbibing at the finish line is alive across the pond, Mayer says, although France’s Fully-Sorniot race, which features well over 1,000 meters of climbing, puts its own twist on the festivities. “You top out and the moment you’re through the finish line, you get handed a glass of the local white wine,” he says. “It was a warm day when I ran it a few years ago, and I was definitely low on fluid. I crossed the line, downed the glass, and 10 minutes later I was sprawled out in the grass. If the end of the race is too far away for the hard partiers among the race field, a few US races (Pinhoti included) can match Lavender Smith’s experience of the mid-race pour. What would you add to the list? Let us know in the comments below. In the meantime, look for the next wave of hydration packs to make accommodations for bowls of pasta, whole baguettes and wheels of gruyere. And for “hydro-flask” to take on a whole new meaning.